The Communications Unit consists of nine communications officers and one supervisor. 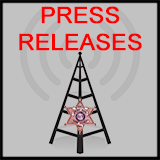 The unit is responsible for receiving and dispatching 9-1-1 and non-emergency calls for the Sheriff's Office, nine municipal law enforcement agencies and six fire departments. In addition to receiving and dispatching calls for service, communication officers enter warrants and ex-parties into the statewide computer system, provide emergency medical instructions on necessary, handle all radio traffic to the center and monitor security cameras for both the Sheriff's Office and the Justice Center. The Communication center has three working consoles with room for three additional stations. The center is manned 24/7, with two dispatchers working 90% of the time. Some of the equipment in the center includes 9-1-1 telephones with maps and instant retrieval capabilities, radio consoles, security camera, weather monitors and telephones, computer aided dispatch, and state wide computer system. In 2004 the Communications Unit took 25,020 calls for service, 13,496 9-1-1 calls, 66,329 non-emergency calls, and received 3,355 warrants from the courts. A communication officer for the Sheriff's Office must be 18 years of age, have a high school diploma or equivalent. Communication Officers in the State of Missouri must now be certified. 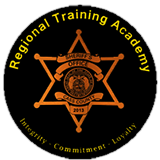 Agencies, like the Sheriff's Office, that dispatch for police, fire and emergency medical services, must have 40 hours of initial training and 16 hours every 2 years, to remain certified. 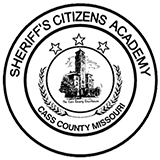 In addition to state certification, communication officers must be certified for use with the statewide computer. If you live outside one of the above cities, your call will go to the Public Safety Answering Point (PSAP) that dispatches for your ambulance service, or to the Sheriff's Office. It is also possible for you to be served by two different fire and/or ambulance services. Know the name of your emergency service department. When asked where your emergency is, you can tell the communication officer which agency you need and your location. Know the closet cross streets to your address. You may want to have your address and cross streets taped by all your telephones. In an emergency, the simplest information can be forgotten. This will also help small children who call 9-1-1. When reporting a crime to the police, describe the suspect's clothing and physical characteristics to the communications officer. If there is a vehicle involved describe by color, year, make, license information and direction of travel. When reporting a fire, tell exactly what is burning, also relate the exact address or location, if anyone is in the structure and if there is a danger of explosion from combustibles. Move out of danger while waiting for the fire department to arrive. Is the patient awake or conscious? Are you with the patient? You may then be given instructions to help the patient until help arrives. DO use 9-1-1 for emergency calls, in progress crimes, medical emergencies, and fires. DO NOT use 9-1-1 for routine calls, transports to hospitals, to obtain phone numbers, to see if someone is in jail, to see how much a ticket is, etc. DO NOT call 9-1-1 when the power goes off or the weather is threatening. DO call the utility company and monitor television or radio for weather information. DO NOT call 9-1-1 and hang up when we answer. We must then call you back and send deputies to check on you. DO NOT play with 9-1-1 or make false calls. It is a violation of the law. PARENTS: DO teach children how to use 9-1-1 wisely in case of an emergency. The communications officer will answer " 9-1-1 Where is your emergency? " Tell them which police, fire, or ambulance you need and your location. Briefly tell what the problem is. Give your name, address and telephone number.